Find a Smartbox dealer in your state with the map below. ATR is dedicated to assisting people with varying abilities in regaining their independence and providing a new way to look at life! Founded in 1995, ATR is proud to provide evaluations and training for individuals with unique needs. Over the past 20+ years we have worked with schools, employers, job coaches, and individuals to provide complete solutions and supporting services. It is our passion and mission to serve anyone in need with a drive to succeed! ATR provides adaptive products and services for clients with special needs, and also conducts professional evaluations conducted by certified Occupational Therapists. We offer individual and group professional development for a variety of software and hardware solutions. Accessibility Services, Inc. (ASI) is a leading provider of environmental control units (ECU’s) designed specifically for individuals with severe disabilities and spinal cord injuries. Founded in 1989 with a primary vision to help veterans, the company has since expanded its mission to address the needs of all severely disabled individuals with a special focus on the unique and exceptional needs of the quadriplegic community. ASI designs, customizes, installs and services ECU’s which enable clients to control their entire surroundings and environment, thus significantly increasing independence and improving quality of life. ASI’s proprietary autonoME unit has become one of the most popular hospital and residential devices on the market. Founder Fred Thompson’s philosophy, “we start with the customer and work backwards” has inspired ASI’s research and development engineers to stay one step ahead of technology, ensuring the company delivers the most advanced and progressive ECU solutions available. For more information, visit http://asi-autonome.com. Touch the FutureInc. is a 501(c) 3, nonprofit organization providing individuals who are disabled, seniors, disabled Veterans, or from disadvantaged communities with computer, durable medical equipment, and assistive technology services and devices. Touch the Future supports other nonprofit organizations and educational programs and provides communities, entrepreneurs, and businesses opportunities for accessible and inclusive communication, events, programs, and services. In addition, we offer comprehensive assessment, consulting and training services including but not limited to ADA and accessibility consulting, Life Planning, and continuing education opportunities. Touch the Future is a Paralympic Sports Club and home to many specialized programs and services. We are ALINK to independent living and Touch the Future of lives each day. Talk To Me Technologies was founded in 2006 by Matt Dunning, Marty Gallagher and Kate Dunning. We wanted to provide speech devices in a new way, but by using basic sense: our sales staff is comprised of Speech Language Pathologists who put their clinical expertise first and are led by the depth of their own knowledge and not by profit differentials from one device over another. Clients benefit from the simple notion of being matched with a speech device that works for them and not the other way around. Because of this, abandonment of the device is extremely rare, client satisfaction is high, healthcare expenses are minimized and we get to keep loving what we do. EnableMart is a premier provider of top-quality products for people with special needs. We have been supporting the special needs community for more than a decade by providing solutions in learning curriculum, adaptive equipment, therapy products, and assistive technology for teachers, educators, speech therapists, occupational therapists, physical therapists, and parents. Our broad selection includes both top brands and unique products developed by experienced SLPs and therapists. All of us at Forbes AAC and Forbes Rehab Services, Inc. are here because we have a passion to help people overcome challenges, to break down walls and lift one another up. We love what we do and strive to always do better. We are dedicated to the success of every individual that uses the products we have provided for them. Because we are driven to provide products that perform in the real world, we have gone to great lengths to make the most durable, reliable and easy to use products on the market today. We were born out of necessity, and founded in functionality, durability, and quality. This ethic continues to guide our assistive technology service to individuals with mild to severe and multiple disabilities. Our customers' input and suggestions often are incorporated into new versions of our products. Our products have earned a reputation for affordability and continue to do so. 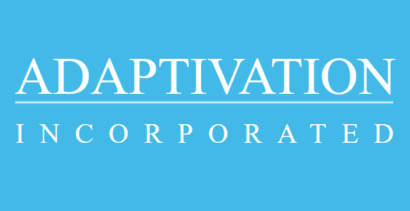 ​ Adaptivation continues to create new ideas and plan products useful to individuals with special needs. Our goal is to let our products speak for themselves (some literally) so each time we introduce a new assistive device, our customers know, without ever having seen it, that it is practical, well-built, and backed by personal attention. For over 25 years Woodlake Technologies has been an acknowledged leader in providing assistive technology to help individuals to meet their vocational, educational and personal goals. At Woodlake, we partner with, government agencies, private corporations and schools to facilitate inclusion of differently enabled individuals. We bring our in-depth industry knowledge and specialized expertise in technology, our broad sourcing and logistics capabilities to assure timely, appropriate and cost-effective solutions. From workplace ergonomics to accessibility for low vision or blindness, Woodlake Technologies is the bridge between institution and individual. From the start of the evaluation process on to delivery and training, we are committed to quality and excellence. Parker AAC Solutions have over 15 years experience specializing in providing at home AAC solutions as well as supporting setup of devices. 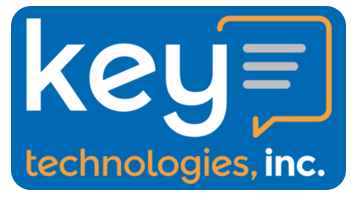 Key Technologies, Inc. has been providing the essential products and services in assistive technology since 1986. Founded, operated, and owned by Kenneth P. Whitley, a Speech and Language Pathologist and Karen S. Whitley, a former educator. ImproveAbility is an assistive technology consulting company. We provide assistive technology assessments and recommendations. We are also able to help you set up and use your assistive technology. In addition to providing these services, ImproveAbility also sells equipment and can put together your solution from multiple manufacturers. At Grasp it is our goal to improve the lives of people with special needs. We do this by providing our clients with the most advanced assistive technology solutions from around the globe. Our team of specialists have been pairing clients with technology for over 20 years, and our trusted partners are industry leading AT manufacturers and distributors. Together we have both global reach and the ability to meet our clients' specific needs. Our amazing partners go to work everyday because they want to improve the lives of others, and that's why we love them. Cadan Assistive Technologies has been supporting the special needs community by providing assistive technology products, alternative input devices, switches, amplified phones, augmentative devices, large key and large print keyboards, Braille displays, and software for over 30 years. Assistive Technology has been experiencing a technological revolution and CAT, the leader in both assistive and adaptive technologies, has strived to stay current with these developments. Through the years we have formed many partnerships with AT industry leaders, manufacturers, and distribution agencies to bring you one of the widest offerings of AT products and information in one place. With 30 years of combined industry experience, we provide our clients with the best Assistive Technology buying experience. We guarantee satisfaction with lifetime product support, an easy 30 day return policy, competitive pricing, and best in class service. 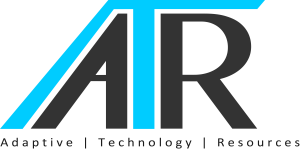 ATR represents many manufacturers of Augmentative and Alternative Communication solutions.We help assess the user's needs to provide the best device based upon cognitive and physical abilities, access method, and communication goals. Serving residents of Michigan and Northern Ohio, Assistive Technology of Michigan delivers technology solutions appropriate for the individual’s disability, residual abilities, and work or lifestyle needs. Our services are based on a comprehensive assessment, our in-depth knowledge of the latest products available, complete training services, and regular follow-up with each of our customers. ATM works with individuals, small businesses, schools, universities, and government agencies. Monroe Speech Designs believes that everyone should have their own voice and we are working hard each day Creating Better Lives through technology.